Very nice church of St. Nicholas in Moscow baroque style is squashed nowadays between buildings at the beginning of Maroseyka street, inside the ancient district of Moscow city called Kitai-Gorod . The first wooden church on this site in the name of Simeona Divnogortsa was built in 1468 by vow of Ivan III. It has been constructed in "Obyden", that is means "In one day". Ivan III built this church in gratitude that the terrible fire of that year was not threw to the Kremlin. In 1657, very close to wooden church of Simenona, it was erected a stone church, which was devoted to Nikolay Wonder-Worker. At the end of 17th century an area nearby the church was occupied by vendors which sold bliny (Russian pancakes), and since then the church refers to " In Blinnikach". Later, the church of St. Nicholas was called "In Klenniky", and it is still the official name for this church to nowadays. "Klen" on Russian Language means "marple tree", so that the old Russian word "Klenniky" is associated with maple gardens, but actually it was not any of this tree nearby from those times and the true name was "In Blinnikach", because of, in fact, it was trade with pancakes here. The name " In Klenniky" had been appeared from the name of a village, situated nearby Moscow city, where there was a phenomenon (appearance) of an icon of St. Nicholas. Originally the church has been constructed in shape of dvusvetnyj chetverik*, which was extended on the axis "North-South", with dvuhchastnyj" altar*; refectory was one-storied. From the North to chetverik adjoined one-storied aisle. In 1701, after a fire, the top part of chetverick* was disassembled, and bottom was transformed into podklet*, expanded to the West and built on high dvusvetnym* by volume with an apse and aisle. From the South was erected Kazan ailse and soon it was added the second floor above it. In 1748, the church was renewed. The main altar was consecrated in the name of Mother God of Kazan. Walls of podklet* were kept from the initial building, and the decor of facades is issued in traditions of the Moscow baroque. In 1749, was built the three-storied bell-tower with thin carved white stone details on it. In 1931, during the time of Stalin's repressions toward Orthodox religion, this church of St. Nicholas in Klenniky was closed, domes were disassembled and bells and crosses were melted. The building was transferred to Central Committee of VLKSM* under an economic department. In a temple up to 1990 was a warehouse. In 1990, this church was returned to believers and nowadays at this church is operating iconography school and parochial library. 1) Dvusvetnyj - a room with two rows of windows placed one above another. 2) Chetverik - a quadrangular building by way of construction or a tier of a building in shape of a square, in Russian and Ukrainian medieval architecture. 3) Dvuhchastny Altar - adjoining altar to the main square shaped building from East side, crowned by half-circle or facetted apse. 4) Podklet - in old Russian architecture: lower (usually uninhabited) floor of the wooden or stone house; a ground floor of a church. Arthur did a fantastic job for us. 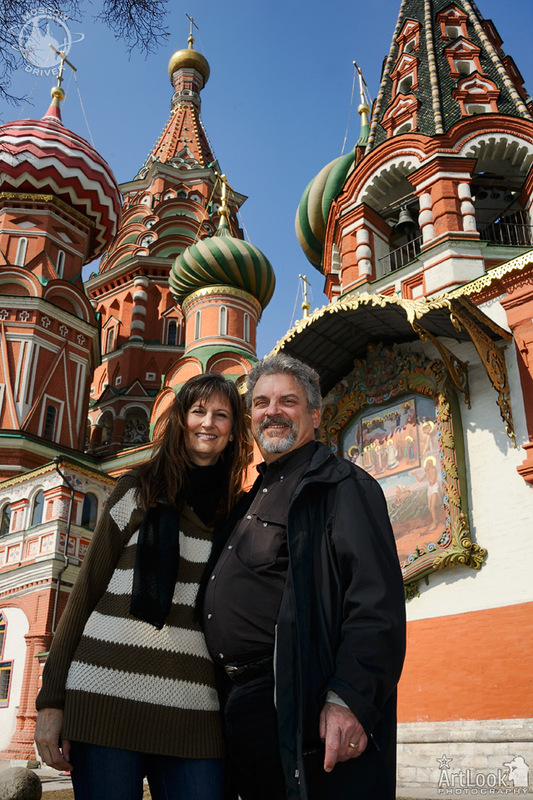 We had 12 hours in Moscow, six of which were committed to seeing our son's concert...so Arthur had less than six hours to show us Moscow. And he did a fine job of it. We had some wild drivers in Russia. Arthur was not one of them. He was safe and sane on the road. Arthur went the extra mile at each opportunity, from picking us up on the platform when we arrived at the train station, to escorting us to our cabin and making sure the steward had our dinner order on our departing train. Great service, good humor, a torrent of facts and figures about everything we saw, there is no way we could have gotten more out of our time in Moscow. Highly recommended!